11 x patterns in PSD (adjustable color fill), PNG (transparent background) and JPG formats. Just what is a Merry Halloween 11 Patterns? Any work of art, it makes no difference if it is a website design, picture or sculpture item will have 2 or 3 dimensions. Other than shapes, colors and size it also comes with specific qualities of the work surface that is observed by eye. When examining the image we can point out that it’s matt, hard or smooth. Now you know what a texture is. 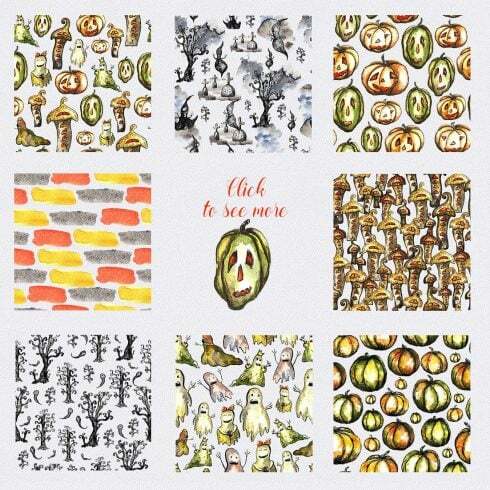 A pattern can be recognized as a background that is made up of recurrent images. Patterns are most liked for being light and responsive to different screen sizes. It’s very easy to set up outstanding colorful backgrounds and point out individual objects thanks to patterns. Many website designers chose patterns over high quality pictures to make website backgrounds simply because they are very diverse, stunning, and simple to implement. Patterns enable you to come up with excellent and smart designs. Normally, we find patterns and textures in graphic art, along with web and product designs. You can make use of these techniques to add value to any visual challenge or art piece. Incorporating a beautiful pattern or a detailed texture can absolutely transform the feel and look of any layout. The costs of textures and patterns vary from 4 to 50 dollars depending on their difficulty and uniqueness. We offer the most varied kits on our website. They differ in cost, so everybody will find something to fit their budget. 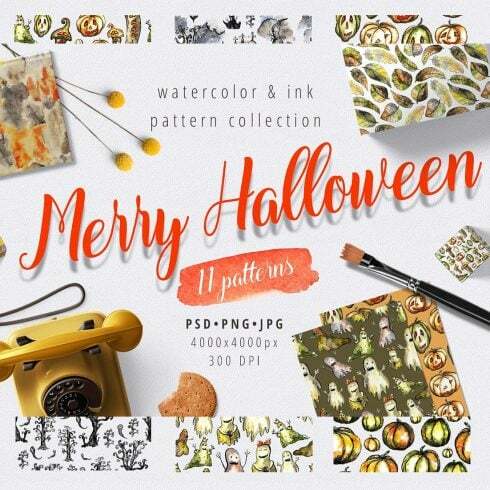 What’s a Product Merry Halloween 11 Patterns Bundle? The bundle is some kind of collection or set of items. They’re compiled into a single “box” and are marketed collectively, as one solution. Often, there’s certain topic or intent that combines the products in a design bundle, but that is not really mandatory. The time, as the bundle can be bought, could be very small (around five days) and that’s why the price tag for it is below what those design items would cost you when sold separately. Package deals are quite rewarding and make it easy for graphic designers to save a sufficient amount of bucks. Why Merry Halloween 11 Patterns are important? How to proceed in the event the item you want is not in the package? The Masterbundles website provides hundreds of different special deals. If perhaps you feel that a particular deal doesn’t offer the thing you need, check out the other ones! When you check out our assortment, you will surely come across something to fulfill your artistic needs. The bundles vary in design, sophistication, and price range, what’s in common is the premium quality of our graphics. Use the website navigation to lead your way through our selection and have some fun! Does MasterBundles.com promote any additional alternative deals? All the offers you find on the MasterBundles.com are created by experienced graphic designers and have passed in-depth quality control. The kits consist of fonts, graphic templates, WordPress web templates, icons, PSD templates, , Instagram templates. You can also find stock photographs, illustrations, PowerPoint templates and resumes, logos and indesign offers. There are kits with the price tag of less than $5 and festive web templates sets. MasterBundles is a major market, marketing packages of various design products. Everything you may want to create a design job or a blog is stored here and you could buy it for a discounted price. There’s also a blog, where you can get interesting information and up-to-date news. The lifetime of a design bundle is fairly brief, so as to stay in touch and never miss the package deal you need – sign up for a newsletter and receive announcements on all the updates.